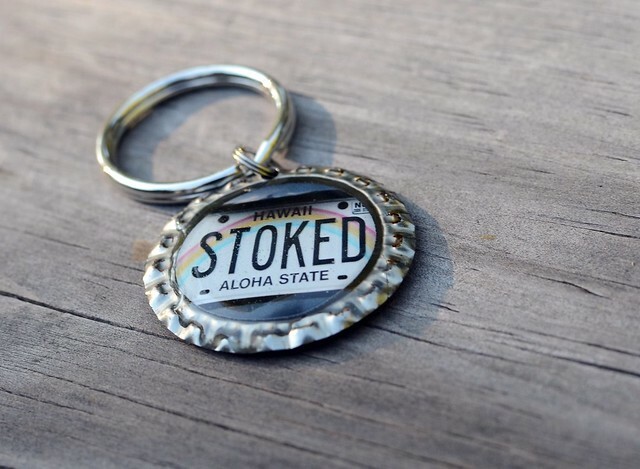 A few months ago I was contacted by the owner of Aloha Bottle Caps. 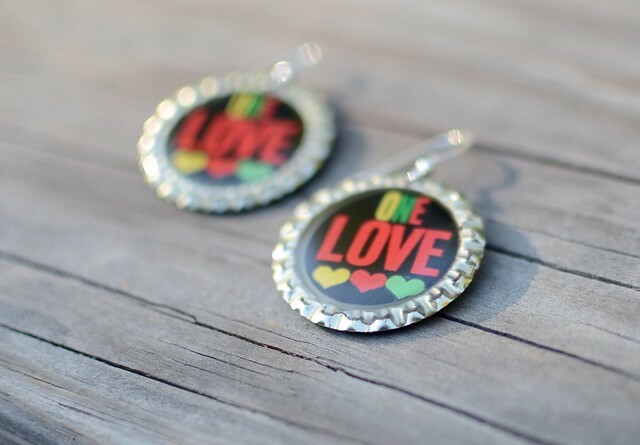 She saw this post that I had written about making recycled bottle cap necklaces. The big box of bottle caps must have caught her eye because she asked if I had any bottle caps that I would be willing to send to her. We have been saving bottle caps for years now, so we have A LOT of bottle caps. We communicated back and forth and came to an agreement. I would send her bottle caps in exchange she would send me some of her products. 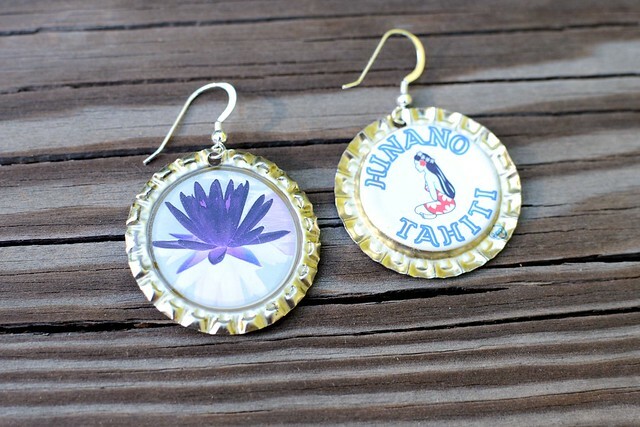 Aloha Bottle Caps uses recycled bottle caps to make earrings, necklaces, and key chains. They are based out of Hawaii. If you have a chance, take a look around the website. Sarah, the owner, is one talented lady. Last week I received my care package in the mail. She sent me so much stuff. I would love to share some of the goodies with you. 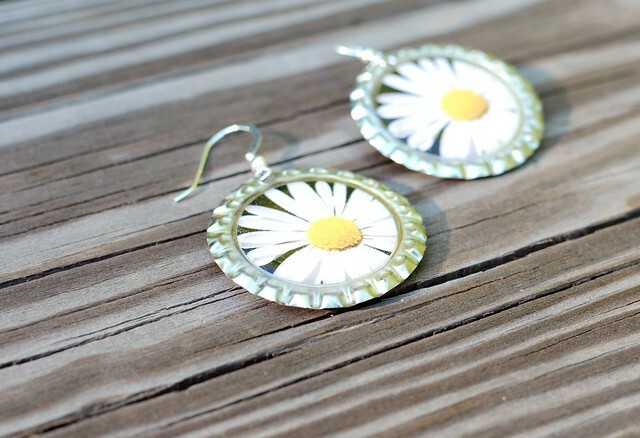 All you have to do is leave a comment by Friday October 14th and you are entered in the giveaway. There will be 4 winners. If you have bottle caps that you would like to recycle, you can send them to Sarah. YES! Sign me up...love her stuff! Thank you again for your cap collection, and yes... really, I can't thank you enough! If any one has a bottle cap collection out there too, please get in touch! Or, start you collection today...! !